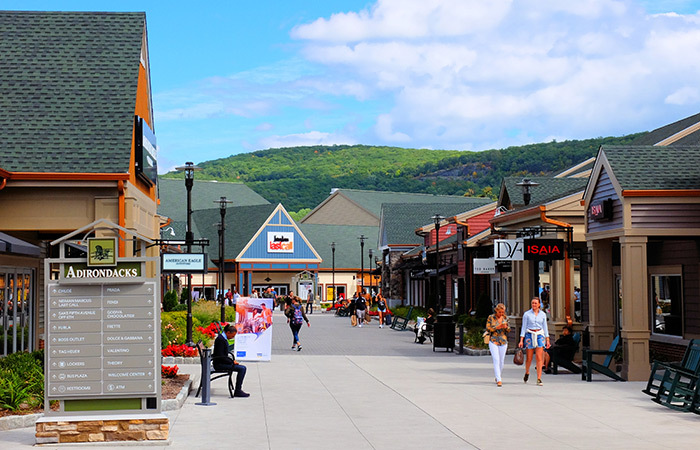 Woodbury Common is one of the best outlets in New York. 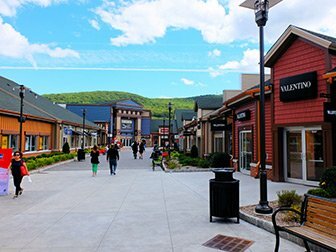 Just outside Manhattan, it offers 220 stores full of discount madness! Buses leave Manhattan in the morning. With your guaranteed reserved seating on the bus, all you’ll need to worry about is checking off your shopping list. 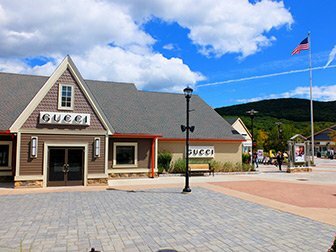 The discounts at Woodbury Common range between 25 and 65 percent on top of the recommended retail prices. The “Buy 1 get 1 free” principle is also rather popular and not only in the high street stores. Jimmy Choo, Dior, Gucci, Burberry, Chloé and Balenciaga are but a few of the designer stores located there. You will also see other brands such as J. Crew, American Eagle Outfitters, Banana Republic, Ralph Lauren, Lacoste, Superdry and Tommy Hilfiger. Woodbury Common itself is located in the midst of beautiful green hills. It almost makes you feel as if you are shopping in Switzerland. The shops are white, wooden buildings lining the squares and streets. They are all stylishly decorated (no fluorescent lighting and bargain bins full of clothes like in other outlets) and the atmosphere is nice (no one will try and grab the clothes off you). On the way there, you’ll receive a map on the bus, so you won’t miss a single store. It’s possible that a short queue will form in front of some stores, if they are very crowded inside. There is free wifi available in the lunchroom, so you can inform your family and friends back home about your bargains. A ‘VIP Coupon Book’ offering further discounts is also available and usually costs $10. This tour, however includes a voucher to pick up the booklet for free. Be aware that in many stores, you cannot exchange your items, so try on the clothes and make sure they are in good condition before you buy them. 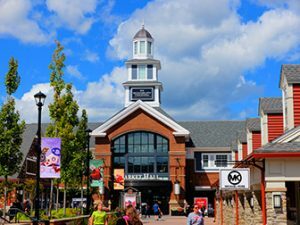 In any case: shop ‘til you drop, because Woodbury Common Premium Outlets is a great place in New York to get designer pieces for good prices. Finished shopping? You’ll easily find the bus that will bring you back to New York City. You don’t have to worry about not having somewhere to sit, thanks to your pre-booked seats. Within an hour and a half you’ll be back in the heart of downtown Manhattan! Eric’s Tip: Have a look at the map and the list of all the shops before leaving. 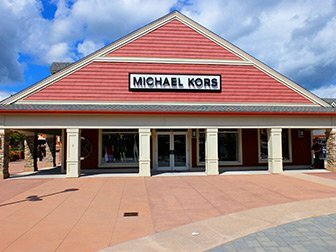 Plan ahead, so you get the most out of your time at the outlet. It’s also smart to bring a bag or suitcase with you to carry your purchased goods. You can choose from multiple departure locations and times as well as return options to Manhattan. After booking the tour you will receive an email voucher. You can print this out and use it as your ticket or show as a mobile ticket on your phone. Don’t know yet how much time you want to spend at Woodbury Common?Then book this bus trip to Woodbury Common instead. If you would like to be picked up at your hotel to travel to Woodbury, this shuttle is for you. Sit back and relax while you travel to the outlet centre with a small group, in a luxury minibus. Here you’ll have 6 hours of shopping before the bus picks you up and conveniently drops you off at your hotel. If you are staying in Brooklyn, then travelling to Midtown Manhattan to take the shuttle can be a bit of a hassle. Thankfully there’s another option: this round-trip bus from Brooklyn to Woodbury! It stops at three spots in Brooklyn, one of which is right below the Brooklyn Bridge.